Jody Lomeo, new new president and CEO of Kaleida Health and Great Lakes Health, will have to deal qucikly with some serious problems at Kaleida. Welcome, Jody Lomeo. The new president and CEO of Kaleida Health and of its parent organization, Great Lakes Health, is jumping into the fire, facing challenges from every direction, including the problem of 17 employees charged by the state attorney general with felony patient abuse. Lomeo had been head of Erie County Medical Center – another child of Great Lakes Health – and was tapped to take the new position on an interim basis when the Kaleida board fired Lomeo’s predecessor, James Kaskie. Lomeo did a remarkable job in improving the operation of ECMC, which no doubt led to the decision to promote him to head of the whole operation. Under his watch, more than $200 million has been invested at the ECMC campus, including a new long-term nursing facility. He will need all those skills in his new job. In his dual roles at Great Lakes Health and Kaleida Health, Lomeo is facing multiple challenges, including a hospital system that lost $14 million during the first nine months of last year. That is in large part because Kaleida is facing stiff competition from the Catholic Health System and from hospitals in Rochester and western Pennsylvania, and doing so at a time when inpatient visits have declined across New York. More immediately, and disturbingly, 17 employees were charged with felonies last week. The workers were accused of abusing through neglect a patient at Kaleida’s HighPointe nursing facility, which opened just over two years ago on the Buffalo Niagara Medical Campus. On the day Lomeo’s appointment was announced, they were fired. It wasn’t the ideal way to start, but the promotion was a necessary one. Kaleida has had a volatile history since it was formed in 1998 by combining several Western New York hospitals under one umbrella. Its first leader, the late John Friedlander, has been described as dynamic and visionary – both true statements – but was also abrasive. He pushed to shutter what was then called Children’s Hospital, a mainstay on Bryant Street, and move it near Buffalo General Hospital. It was a visionary proposal – that process is now under way – but one that was premature, poorly handled or both. Friedlander left and his successor, William McGuire, soon dropped plans to move the hospital. 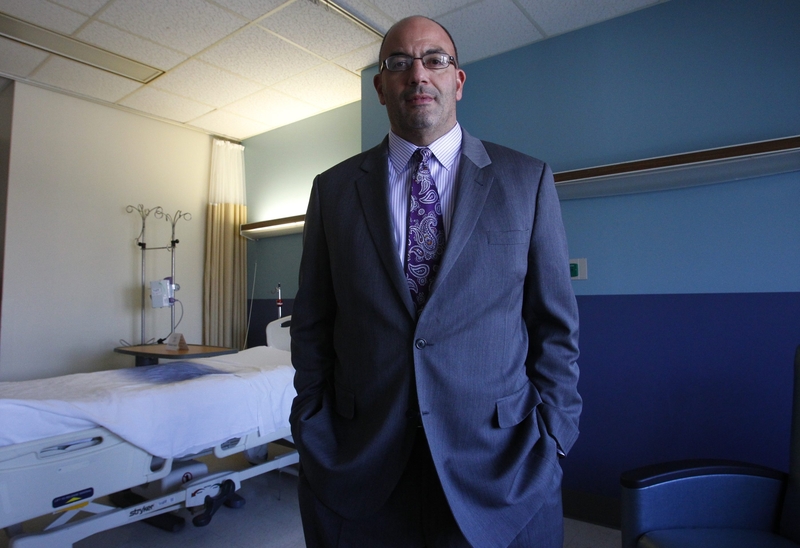 Since then, Kaskie helped in no small part to create the burgeoning Buffalo Niagara Medical Campus, but while he was at it, the Catholic Health System was also growing and eating into Kaleida’s market share. That pushed the board to fire him earlier this year. Now Lomeo must address those issues, one of which he identified as cultural. He wants to change the system’s culture, a need he also emphasized before he assumed his successful leadership at ECMC. He also said he wants to find a collaborative approach to finding efficiencies in staffing and facilities. As to the 17 employees fired and charged with felonies, that clearly shows the need for a change in culture. Hidden cameras documented the neglect of a patient with Huntington’s chorea. Authorities said the suspects then falsified documents in an effort to conceal their failure to care for him. If 17 people are conspiring to abuse a resident and then concealing their neglect, the culture is not only broken, but criminal. For Lomeo, that problem must be the first among many priorities.